AS I NOTED in my broadcast of September 15, and as various politicians also have noted in a somewhat different sense, on September 11 America entered a new era. For the first time in a long time American civilians have had to pay a price in blood for abdicating their responsibility to control their government. Excepting some entirely inconsequential Japanese efforts against the Pacific Northwest during the early days of the Second World War, the U.S. mainland suffered its first attack from the air this month. In the past we dished it out — the terror bombing of German cities throughout the Second World War, the bombing of Baghdad a decade ago, and the bombing of Belgrade in 1999, not to mention selective air strikes against an aspirin factory in Sudan and against the home of Libyan leader Muammar al-Qaddafi — but until this month the American people hadn’t been on the receiving end. The psychological shock has been profound. The attitude used to be that our government could do whatever it wanted to do against the people of other countries, and Americans could enjoy the spectacle on TV from the comfort of their living rooms, watching the bombs falling and buildings burning while sipping their beer and munching potato chips. Americans felt invulnerable, and the feeling of invulnerability led to a diminished sense of responsibility. We could kick other people in the teeth all day long, kill other people’s wives and children, burn other people’s homes, and they couldn’t do a thing about it. We didn’t have to worry about the consequences of our behavior. Even Americans who disapproved strongly of the bombing of Belgrade by Madeleine Albright and Bill Clinton two years ago didn’t disapprove as strongly as they would have if it had seemed more real to them, instead of just a spectacle on TV. What happened in New York and Washington this month seemed very real indeed. What people saw on their television screens — and still are seeing as the wreckage continues to be cleared and the corpses hauled away in body bags — was a stark reminder of the truth in the ancient adage: as ye sow, so shall ye reap. That adage, of course, is about the last thing of which the media bosses and their lackeys in the government wanted to be reminded. Mr. Bush declared that what happened on September 11 was “an attack against freedom and democracy,” rather than retribution for anything we had done. The people who seized the airliners and flew them into the Pentagon and the World Trade Center are described as “cowards” and characterized as hate-crazed loonies who hate America because America stands for “freedom and democracy.” Really: that’s what the media bosses and the politicians want us to believe. And that’s the excuse the Bush government is using for pressuring other governments into collaborating in his new Persian Gulf War. This is not a war to serve Israel or help the United States get revenge for the September 11 attack, the Bush line goes; this is a war against the enemies of freedom and democracy, wherever they may be. If you believe in freedom and democracy then you must stand with us; those who are not with us are with the terrorists. No head of state anywhere believes Bush’s baloney about the September 11 attack having been against “freedom and democracy.” They all understand with perfect clarity that it was a very specific retaliation for the U.S. government’s support of Israel’s aggression in the Middle East. 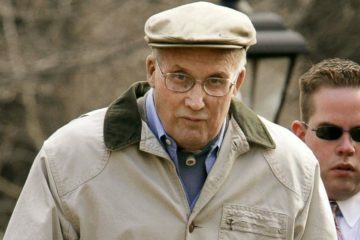 The responses of other countries to Bush’s efforts to build a coalition reveal the worldwide spread of Jewish corruption. Some European countries are nearly as much under Jewish media influence as the United States and have governments nearly as corrupt. This is the case in the United Kingdom and France, for example. The situation is mixed in Islamic countries such as Pakistan and Turkey, with corrupt governments but with populations relatively free of Jewish media brainwashing. What we might hope for in Pakistan is an overthrow of the present government; or, barring that, the large-scale sabotage of any U.S. military effort mounted from Pakistan. Afghanistan, Iraq, and Iran are almost the only countries showing any real character in resisting the Bush government’s efforts to build a pro-Israel coalition in the Persian Gulf area under the pretext of waging war against the enemies of freedom and democracy. The most worrisome aspect of the present situation is the talk from Bush administration officials about a full-scale war to take out Iran and Iraq as well as Afghanistan, so that Israel will have a free hand in the Middle East. That is the course that has been urged by Benyamin Netanyahu, Ariel Sharon, and every other Jewish spokesman, both in Israel and the United States, and the Bush administration is obediently parroting that line. The banners on all of the TV news programs are proclaiming a state of war. They don’t report the news any longer; they report the latest developments in “America’s New War.” That is a deliberate effort to get the lemmings into a war mood. Of course, Israel is never mentioned by those pushing for a full-scale war. The purpose of the war has nothing to do with Israel, they would have us believe; the war is to save freedom and democracy, and so we should wage war not just against the people who attacked the United States on September 11, but against all enemies of freedom and democracy. That’s the sort of lie that worked for two world wars in the past century, and so the lemmings ought to go along with it again, they figure. And if we believe the public opinion polls, they are right. The intellectually challenged George Bush, who always has a sly little smirk just about ready to break out whenever he’s reciting his lines for the TV cameras, has been portrayed by the media ever since September 11 as the bold, determined, resolute leader of the nation, and he has the approval of 90 percent of the public. Furthermore, approximately 80 percent of the public will back him in a war against Afghanistan, and 70 percent or so would like to see him take out Iraq while he’s at it, even though there’s no indication Iraq had anything to do with the September 11 attack. It really seems that the yahoo flag-wavers among the lemmings have been absorbing the war-mongering propaganda of Netanyahu and Sharon and the other Jews. We ought to remind ourselves that this is the same American public that gave Bill Clinton an overwhelming approval rating after he admitted lying about his Oval Office affair with Monica Lewinsky. We also ought always to be cautious in accepting the results of public opinion polls. The Jews continuously sample public opinion on dozens of key issues, so that the media can adjust their propaganda in order to keep opinion moving in the way the Jews want it to move. If anything were to cause public opinion to swing against Israel, however, they not only would adjust their propaganda accordingly, they also would keep the negative results strictly to themselves. They would tell Mr. Bush, “George, the latest polls show public opinion solidly in favor of Israel, and the people will support a U.S. war against Israel’s enemies.” Actually, in the present case, I have no reason to believe that the opinion polls are not correct. The Jews are calling for a war, the collaborators in our government are calling for a war, and the lemmings are responding as they always have responded. There are a couple of things that might derail the Jews’ war plans. One is the failure of the Bush government to build or to maintain its coalition of collaborator governments in the Middle East. A popular uprising in Pakistan might stiffen the spines of governments in several other countries and cause them to reject collaboration as well. Without land access to the countries the Jews want conquered, the Bush forces will be restricted to aerial bombardment. They can kill a lot of people and damage a lot of infrastructure that way, but they are not likely to win a war. Another thing which might put a monkey wrench in the war plans would be more and larger strikes against the United States: that is, a large-scale follow-up to the September 11 attack. Whether such a follow-up has been prepared by the people who launched the September 11 attack — or by others — remains unknown at this time. The propaganda of the media and of the Bush government is that the September 11 attack helped to unify America, rouse our fighting spirit, and so forth. And indeed, many people did run out and buy American flags. But there also can be no doubt that many Americans have been unnerved by the September 11 attack. As I mentioned at the beginning, what happened was a profound psychological shock to many Americans who previously had felt invulnerable. The collapse in the price of airline stocks is not due to the loss of four aircraft or the expense of collecting fingernail clippers and pocket knives from passengers; it is due to the fact that many Americans are now afraid to fly. If there is a large-scale follow-up to September 11 — especially if it comes in the form of a biological or chemical attack, with as many or more casualties than the World Trade Center attack — many Americans who now are blindly following the party line on television may be ready to break ranks and start thinking about why America is being attacked. They’ll want a better answer than the one they’re getting from TV now: namely, that the attack is because Osama bin Laden hates freedom and democracy. A few of them will even begin to understand that the real reason we are being attacked is because of our government’s support for Israel’s atrocious behavior against its neighbors in the Middle East. Well, I suppose that’s a bit optimistic. Expecting Americans to begin thinking is expecting too much. 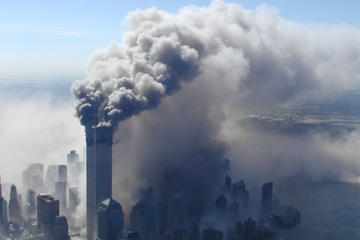 A large-scale follow-up to September 11 may cause panic, but probably not much understanding. It may make some elements of the public more open to new ideas, but independent thinking and understanding are fundamentally foreign to most of the public. Today Sally Soccer-Mom and Joe Six-Pack don’t have a clue about what’s really happening in their world, what the real issues are, and what’s really at stake. Sally and Joe always have been clueless, throughout all of history. They are herd animals, and they know only what the herd knows, care always and only about the things the herd cares about, cheer always and only for whatever the herd is cheering for at the moment. Let me give you one of those little capsule oversimplifications I’m fond of. Although it is an oversimplification and is, therefore, not an exact model of the real world, I find it very helpful in making sense out of what’s happening in the real world. There are four basic types of people — White people — in the world: First there are the Sally Soccer-Moms and the Joe Six-Packs. They constitute about 95 percent of the White population. Some are rich, and some are poor; some are factory workers, and some are lawyers; some are barely literate couch potatoes on welfare, and some are academics with pretensions to intellectualism. What characterizes all of them is an inability to think independently or to hold any opinion not held by the herd. I often call them lemmings. Second, there are the exploiters. They are rational people, who see the world as it is and attempt to use the world — including the rest of the population — for their own advantage. They recognize the lemmings for what they are and manipulate them in order to use them, nearly always through deception. Prior to the 20th century most of the exploiters have been White people themselves: the leaders of the Church, the leading members of the aristocracy, and the very wealthy — the plutocrats — for example. Exploiters have not necessarily been malevolent, nor have they always been powerful. Aristocrats and plutocrats often have advanced the interests of the herd while advancing their own interests. What distinguishes exploiters is neither malevolence nor power, but rather the ability to think independently and the placing of their personal advantages ahead of everything else. Third, there are the Judases: White people who might be considered a sub-type of the exploiters, but whose behavior is more in the nature of knowingly cooperating with the exploiters or knowingly letting themselves be used by the exploiters rather than engaging in exploitation themselves. For the most part Judases are people who understand the situation, more or less, and would be happy to be exploiters but are not quite bright enough, tough enough, or energetic enough, so they settle for collaboration. Many lower- and middle-echelon Gentile media people fall into the Judas category, while other Gentile media people — especially those in the lowest echelon — are merely lemmings. The same can be said of politicians and bureaucrats. Bill Clinton and George Bush are outstanding examples of Judases. Though apparently in the top political echelon, neither has the qualities to be a successful exploiter without Jewish backing. Clinton lacked the self-discipline, and Bush lacks the intelligence. The ranks of the bureaucracy, of the military leadership, and of the educational establishment are filled with Judases and lemmings, with Judases predominating in the upper ranks. Fourth, there are the independent-minded people who understand much of what is happening in the world — that is, they are not lemmings — and are not inclined to be either exploiters or Judases. We’ll call them “observers.” They make up somewhere between two and five percent of the White population. Observers are mainly interested in looking out for themselves, but they’re more concerned with the welfare of their fellows than the exploiters are. They understand that as the herd fares, so fare they. If the race goes down, everyone goes down with it. So they do feel some sense of responsibility for what is happening in the world: just not enough, in most cases. I’ve always considered the observers the key element in our population: certainly, the key element in getting the Jews off our backs and regaining control of our destiny. Three of the four categories of people in my oversimplified model understand the issues involved in what the Bush government is doing now — or at least they are capable of understanding — but the exploiters and the Judases don’t care about the things we care about. Only the observers — two to five percent of the population — are capable of understanding and caring. 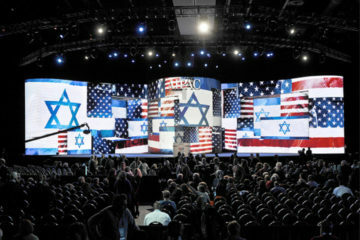 If something happens to cause them to focus their minds on the simple fact that seven thousand Americans were killed on September 11 as a direct consequence of the Jewish control of the U.S. government — seven thousand Americans were killed because our government has for decades been used to further the interests of Israel at the expense of the interests of the American people — if they will focus on that simple fact and also on the fact that many more Americans are likely to die in the future if the Jewish control of our government continues, perhaps some of them will put their minds to the problem of breaking that control. And so all of my own efforts have been directed toward helping the observers to focus. I don’t waste time now on the lemmings, because I can’t compete effectively with Hollywood and CNN for their attention — although part of what I’m doing is building the media that will give us the capability for competing in the future. I don’t waste time on the exploiters among my own people, because they won’t break their alliances with the Jews until they have been convinced that doing so will be to their advantage, and the time when they can be convinced of that is still a long way off. And I don’t waste time on the Judases, because such people aren’t worth any time at all. The time will come for dealing with them as they deserve, but that time isn’t here quite yet. But with the observers there is hope for doing things now, hope for persuading some of them — perhaps many of them — that it is immoral and irresponsible merely to sit and observe and do nothing while the Jews and the Judases continue to use America, to use our people, for their own purposes and in doing so to bring disaster after disaster down on us and to insure a future of misery and shame for our children and our grandchildren. There is hardly anything more irresponsible than waging an unnecessary war, hardly anything more reprehensible than waging a war for any reason except to safeguard or promote the interests of one’s own people. If waging war against Afghanistan and Iraq and Iran were in the interests of my people, then I would be for it. 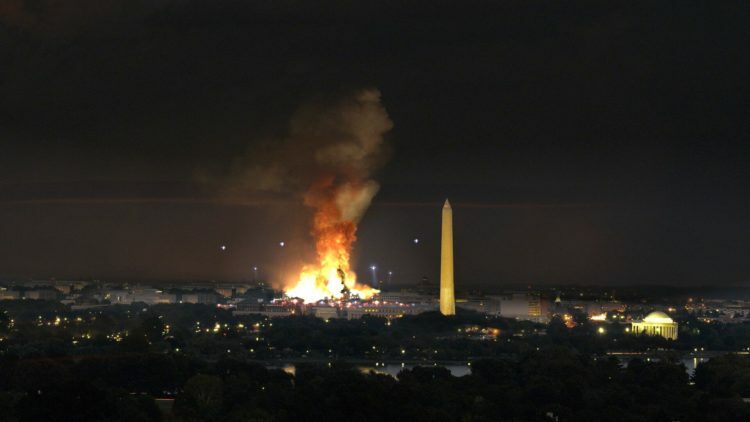 You know, we’ve talked about this before, but it’s worth reminding ourselves again and again: there’s more to the September 11 attack and the Bush government’s response to that attack than the simplistic picture being presented to us by the government and the media. It’s more than a case of Osama bin Laden hit us, so now we’re going to find him and kill him. It’s more than a case of we have been hurt by terrorists, and so now we are going to wipe out the governments which make it possible for terrorists to operate. If the U.S. government really thought it worthwhile to wipe out the governments that sponsor terrorism or harbor terrorists, the government of Israel should be the first one to be wiped out. Israel has sponsored terrorism and assassination from the beginning and still does. The current prime minister of Israel, Ariel Sharon, is himself a professional terrorist who supervised the massacre of thousands of Palestinian civilians in refugee camps in Lebanon in 1982. And it’s not even a case of our excusing Israel’s terrorism because Israel is our friend. Israel is no friend of ours. Have we forgotten Israel’s terrorist attack on the USS Liberty, when the Israeli government thought it would sink our ship, machine-gun everyone in the Liberty’s lifeboats, and then blame it on the Egyptians? The Israelis almost got away with that. No, terrorism is a hazard inherent in what the world has become. Americans must deal with it as best they can, and that means dealing with it intelligently; that means among other things understanding why we have been attacked when we become the victims of terrorism, not stupidly accepting the claim that it is because the terrorists hate our “freedom and democracy” and then running off to start a new war on that basis. Finally, the most important thing for observers to focus on is this: the calamity that befell America on September 11 was the consequence of our having lost control of our own government. We want to avoid future terror attacks, of course. But more important than that — more important than anything else — is regaining control of our government and never again permitting another country or another people to use us for their own purposes. Preaching to the choir. I tell ppl its the judens. They smile and laugh at me, and even say, they have no power whatsoever. I’ve done my job, I planted the seed. They might be believe sooner or later, perhaps never. The shame of never questioning everything will be their downfall and when the smokes clear, they will be dazed and confused, wondering what had happened. In the end, everything is so much better on T.V. That will be their consolation. Thank you for republishing this clearly stated essay, it covers so many topics well while seamlessly bringing them together to make a coherent theme nearly anyone with average (for Whites) cognitive ability can understand. Much of what was stated had to do with events that happened over 15 years ago, however some things, important things such as our reason for continual wars for Israel’s benefit conducted by the jewed American regime as an example, are still timely.